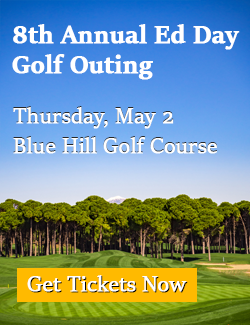 Preserve Ramapo and Preserve Airmont have announced that they strongly support Ed Day for re-election as County Executive. Shortly after Ed Day became County Executive he discovered that our county had only $20,000 in the bank and was going to have real difficulty even meeting its payroll. The buck had been passed up to him. He was forced to make those unpleasant decisions. And he had to do them while our fractious county legislature challenged him at every opportunity. Ed made those decisions and returned Rockland to fiscal health. Ed Day was also faced with a real health and safety emergency. Throughout Rockland slumlords were making a killing. Our towns, and especially Ramapo, had been overwhelmed by dangerous and illegal housing. There was too little code enforcement, too modest penalties, and town judges who refused to take housing violations seriously. And especially in Ramapo new apartment houses were built too close together to allow effective access to firefighters. Leading builders in our community even shoehorned more apartments into their new housing than they were entitled. For years our fire chiefs wrote letters and reports to state authorities begging for support for code enforcement. Thanks to political interference at the highest level of state government their pleas were ignored. They finally wrote a letter to every municipality in Ramapo asking that new housing be built that recognized their needs. That letter was never made public by our apolitical firefighters and it was ignored by St. Lawrence, his planning board and ZBA. (Thanks to a confidential source we were able to publish that letter on our website.) Ed Day, to his credit, has used the police powers of our health department to do the job that our towns have refused to do. He hasn’t done it quietly and his leadership has been used by his political opponents to attack his motives. But where were they before, and where are they now? Ed has returned integrity of county government. We strongly support Ed Day for reelection as our county executive. Preserve Airmont, comprised of Mayor Philip Gigante, Deputy Mayor Paul Marchesani, Trustees Anthony Valvo, Peter Blunnie, and Kevin Warbrick, proudly and unequivocally support Ed Day for County Executive. Aside from the obvious financial success he has brought to this county during his tenure, we are most proud of his pioneering efforts concerning the safety of all Rockland residents. Specifically, we share his stance on overdevelopment and welcomed the creation of the Rockland County Illegal Housing Task Force and his executive order forcing Towns and Villages to comply with County planning recommendations. As Airmont residents, we can attest to the citizens’ desire for quiet bucolic neighborhoods and as a Village Board, we consider safety paramount to our duties. Finally, as an attestation to his willingness to assist all Rockland residents, Ed Day routinely offers this Board any services he can to ensure the Village residents are getting the best possible government. Please join us in voting for Ed Day for County Executive on November 7th. County Executive Ed Day received the endorsement of the Northeast Regional Council of Carpenters in his re-election bid for County Executive. 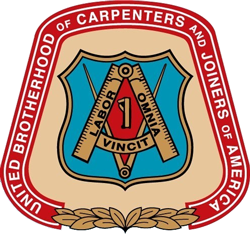 The Northeast Regional Council of Carpenters represents over 40,000 members in the construction industry. County Executive Ed Day received the endorsement of the Rockland County Sheriff’s Deputies Association and the Orangetown Police Benevolent Association in his re-election bid for County Executive. The County Executive was thrilled to receive the additional support from our local law enforcement community. “Anytime my fellow brothers and sisters in law enforcement recognize one of their own as a person they believe in to lead government it is a much appreciated gesture,” Day said. “I will continue to do what I have always done, which is the right thing by all the members who live and work in our community,” Day continued. 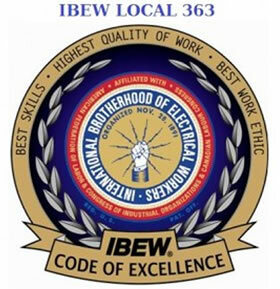 County Executive Ed Day received the endorsement of the International Brotherhood of Electrical Workers Local Union 363 in his re-election bid for County Executive. “We are proud to support you on behalf of our membership and the community at-large,” Fratto continued. “I couldn’t be happier to have the good men and women of the IBEW Local 363 in my corner during this very important re-election campaign. Together we will continue to make Rockland a great place to work and live for everyone,” Day said. The International Brotherhood of Electrical Workers Local Union 363 represents the Hudson Valley and Upper New York State. County Executive Ed Day was backed by the New York State Fraternal Order Of Police (NYSFOP). NYSFOP President Michael Essig mentioned Day’s support of the law enforcement community as one reason for the endorsement. “We have based our endorsement upon your demonstrated and continued support of police professions,” Essig said. “Further, as police professional who most experience and witness the trauma and effects of criminal behavior wrecked upon our fellow citizens, we understand, all too well, the significance and dedicated public servants as you who possess the courage compassion to promote the confidence in our government and courts,” Essig continued. “As a retire police officer and detective, I have a strong place in my heart for my brothers and sisters in law enforcement. I can’t express how proud I am to have the backing and confidence of the members of the NYSFOP,” Day said. 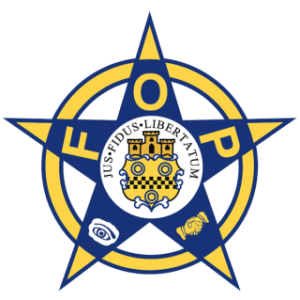 The New York State Fraternal Order Of Police is the oldest and largest national association of law enforcement professionals with over 20,000 members statewide. County Executive Ed Day received the endorsement of the Rockland County Central Labor Council. Labor Council President Gil Heim mentioned Day’s alignment with the Council on key issues effecting Rockland’s working families as the reason for giving Day the nod in his bid for re-election. “Helping working families to achieve a better quality of life is the mission of the Rockland County Central Labor Council. We carefully follow the positions that elected officials take on key issues such as the rights of workers to organize, project labor agreements, living wages, quality education, occupational safety and health legislation and other issues that impact the lives of working men and women,” Heim said. “I am so pleased to have the support of the Rockland County Central Labor Council and I look forward to continuing to stand up and fight for the working families of Rockland for another four years,” Day said. 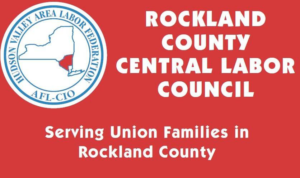 The Rockland County Central Labor Council serves over 30,000 union members and their families throughout Rockland County. New City, NY – County Executive Ed Day received the endorsement of the Rockland County Patrolmen’s Benevolent Association. The endorsement spoke to Day’s positive working relationship with the County’s law enforcement as reason for the support. “You have proven to be always accessible and willing to work with the law enforcement community in our County. This is something we greatly appreciate,” Chris Kiernan, President of the PBA said. “I am honored to have the endorsement of my brothers and sisters from the Rockland PBA. The men and women serving in law enforcement in Rockland work hard to keep our citizen’s safe and I look forward to continuing to work with Rockland’s finest,” Day said. 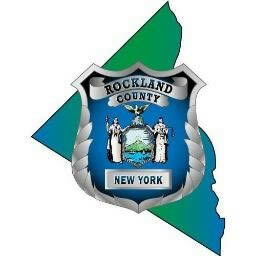 The Rockland County Patrolmen’s Benevolent Association was founded in 1966 and represents the men and women of the following local police departments: Clarkstown, Orangetown, Piermont, South Nyack-Grand View, Spring Valley, Stony Point, Suffern and the Rockland County Sheriff’s Office Patrol and Civil Divisions. New City, NY – County Executive Ed Day received the endorsement of the Grand Council of United Emerald Societies. The nomination committee of the society voted to endorse Day in his bid to seek re-election as Rockland County Executive. 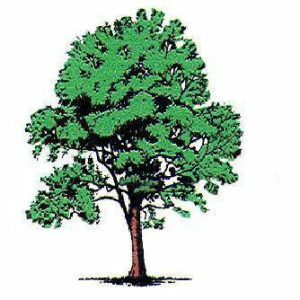 “I am delighted to receive the endorsement of the United Emerald Society and look forward to serving them and all residents of Rockland County for another four years,” Day said. 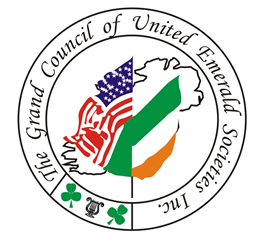 The Grand Council of United Emerald Societies is a fraternal organization comprised of over 20 Emerald Societies throughout the New York region, representing a membership totaling nearly twenty thousand strong. County Executive Ed Day nabbed the endorsement of the Teamsters Local 445, the largest local union in the Hudson Valley. In the endorsement, Barry Russell, Principal Officer of Local 445 noted Day’s record during his first term as the reason for supporting his bid for re-election. “I am happy to have the support of the Local 445 and all of their members. I look forward to the opportunity for another four years and continuing to put Rockland back on the right track and fighting for all the hard working people of Rockland County,” Day said. Teamsters Local 445 is the largest local union in the Hudson Valley and represents working people in all facets of employment in both the public and private sector. County Executive Ed Day received the nod of the New York State Supreme Court Officers Association (SCOA) in his bid for re-election as Rockland County Executive. SCOA President Patrick Cullen referred to Day’s dedication to helping others during his accomplished career in law enforcement and as a public servant. “Your ardor for duty and service is manifest throughout your life and work and makes the Association proud to endorse you for re-election to thr post of County executive of Rockland,” the endorsement reads. “I am proud to have the endorsement and confidence of SCOA and look forward to continuing the good work we have started as County Executive,” Day said. SCOA represents 2,500 members both active and retired throughout New York State. County Executive Ed Day received the endorsement of the 9-11 Cops Association. The endorsement, given by Lt Tony Zeoli on behalf of association, goes on to commend Day’s service as a retired police officer. “You have also dedicated your entire life in service to your community. First as an esteemed member of the NYPD, rising to the prestigious rank of of Detective Commander and then upon retirement you continued your community service, this time to the people of the City of Baltimore as their Chief of Detectives, you have always put yourself in service to those who are in need,” the endorsement states. “I am please to have the endorsement of my brothers from the 9-11 Cops Association. I also praise each of the members of the organization for all of their brave service, especially their work on and during the days following the tragic attacks on September 11th,” Day said. The 9-11 Cops Association is an affiliation of active and retired Police Officers made up of assorted ranks from various Police Departments throughout the tri-state area, with a large contingent being Rockland County residents. 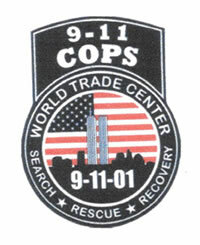 The majority of our members share in a unique kinship of having spent time at Ground Zero in New York City as part of the massive search, rescue and recovery operation after the 9/11/2001 terrorist attacks. 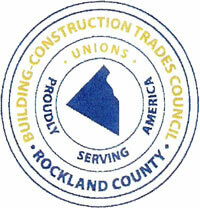 County Executive Ed Day received the backing of the Rockland County Building and Construction Trades Council. “I am very pleased to have the support and backing of the Rockland County Building and Trades Council and the skilled and hard working people who make up their membership,” Day said.